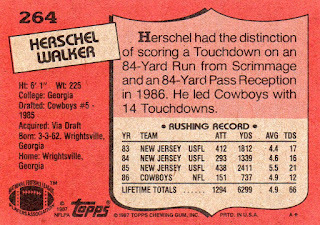 This is Herschel's rookie card. 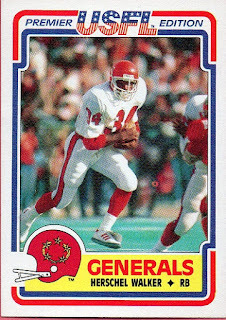 From the inaugural 1984 Topps USFL set, which contained 132 cards. 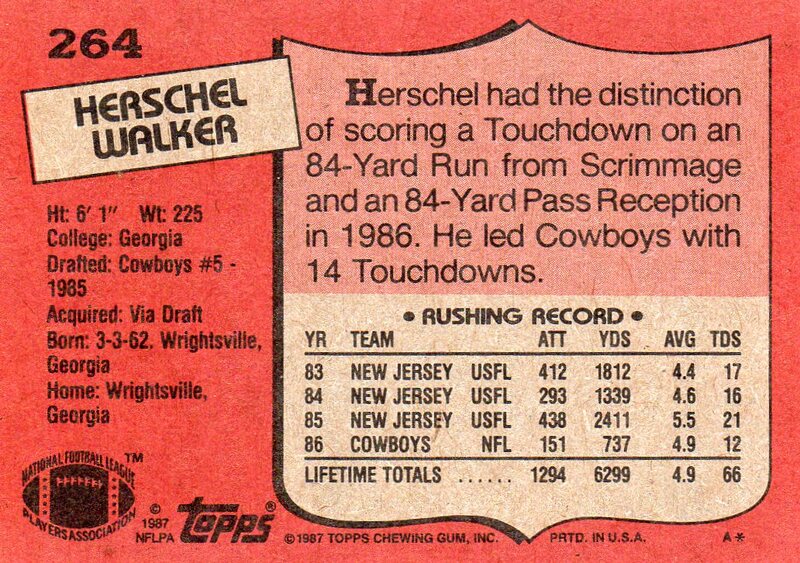 As can be seen, his is #74. I always thought this was a very sharp looking set. 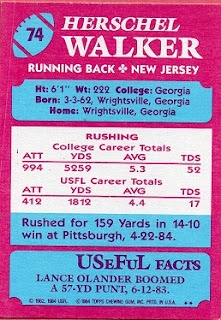 Pricewise, it is Walker's most valuable base card, though some later issues of autograph and jersey swatch issues sell for more. 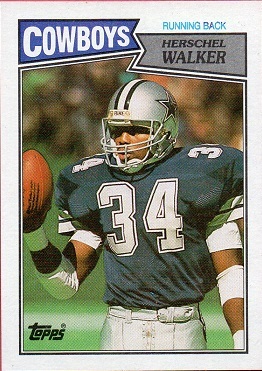 This is from the 1987 Topps Football set, which features Walker for the first time in a Dallas Cowboys uniform. Nice card with a clean, clear back.